She loved sports, helping the community and was described as having an infectious laugh and a big heart filled with kindness, always ready to help. 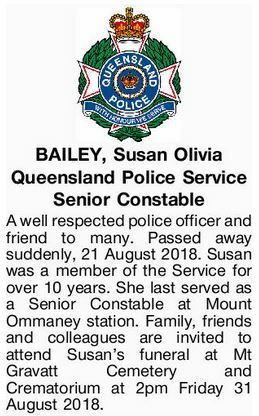 RIP Senior Constable Susan Olivia Bailey ???? 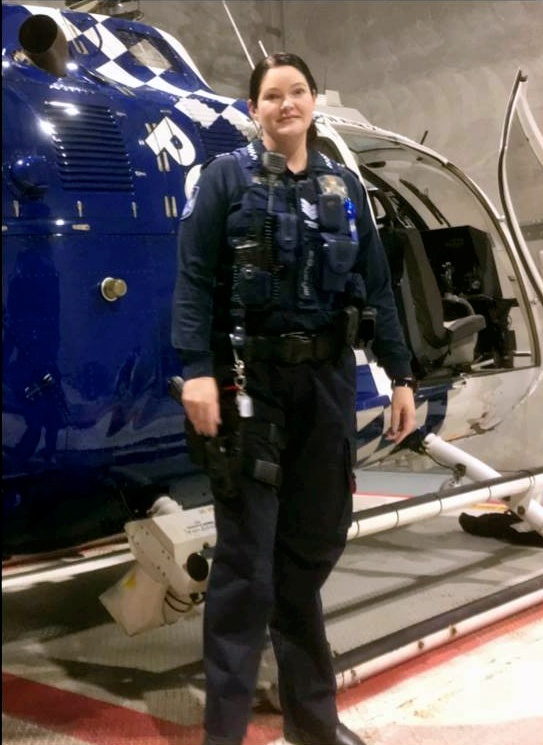 Senior Constable Susan Olivia Bailey 4026013. On Tuesday 21 August 2018, Susan tragically took her own life. It’s not for us to judge how or why Susan took this path, but it’s probably fair to say right at the end she felt alone. Sadly, this could not have been further from the truth as attested by the outpouring of love demonstrated in the comments subsequent to our earlier post, but in these situations (and there have been just too many), feelings of being alone, forsaken, isolated, forlorn and abandoned are all too common. It is incumbent on each and every one of us to do everything in our power to ensure that our friends, our colleagues, OUR blue family members are not left to feel this way. It is up to us to take some time out of our own busy schedules to check on our mates and if required, firmly and unequivocally intervene. It’s heartbreaking to think that in 2018, in an ever shrinking world being as connected as it ever was, that a feeling of being ‘alone’ can yield such catastrophic results time and time again. In the meantime, we stand shoulder to shoulder with our Police brethren in their grief. In time we will celebrate how Susan lived rather than how she died.